Yesterday, I checked on Ohio State (one of my alma maters) to make sure everything was running smoothly. 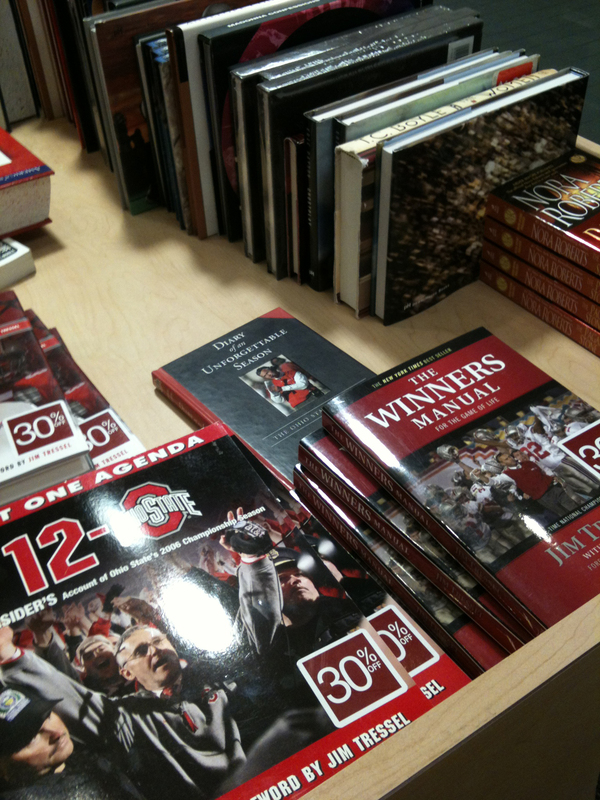 While in the bookstore, I noticed a bevy of Jim Tressel books at 30 percent off. I know Tressel is old news but I wonder what Stubby would think of the all the college football scandals in the past few years. And then there is the big kahuna of sports scandals: Penn State. Stubby was no stranger to college sports scandals during his time. But I wonder, can we expect college sports to ever be scandal-free? What happens when the Poet Laureate doesn’t like you?